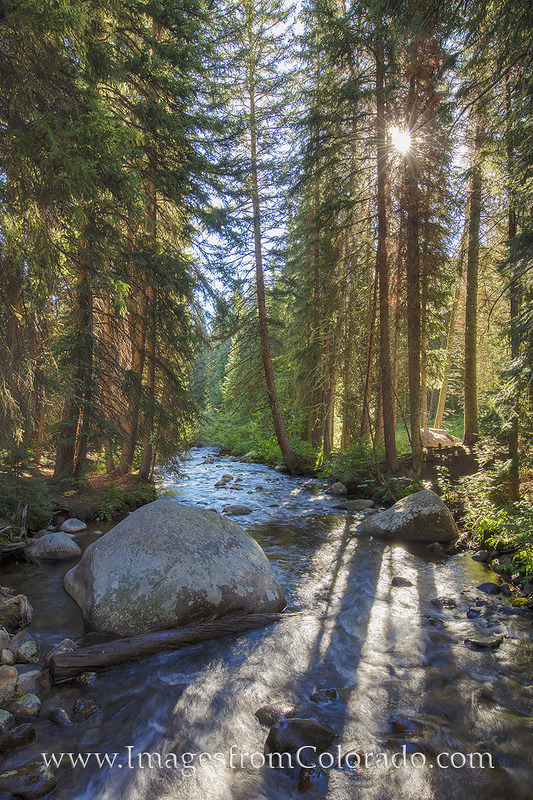 Along a walking trail near Winter Park, Colorado, a small bridge crosses Vasquez Creek. From the bridge, you have pleasing views of the small, snow-fed stream in both directions. Here, looking northeast in the morning, the sun peeks through the pine and lights up the shady areas of this clear flowing stream. Scenery like this makes for a perfect morning stroll in the crisp, cool, mountain air. Photo © copyright by Rob Greebon.